Halloween, All Saints Day, All Souls’ Day and Dia de los Muertos (Day of the Dead) are around the corner. It’s the season where all are encouraged to let their imaginations run wild and dress up! This is also a good time to spice up your STEM (Science, Technology, Engineering, and Math) curriculum with monsters, creatures, the spooky, and the unknown. 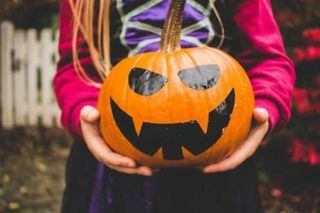 Below are recommended spooktacular STEM activities and resources to get you started. Produce a class zombie movie or scene!Students can create a movie version of this free zombie graphic novel created by the Center for Disease Control, which teaches learners emergency preparedness for a pandemic.Use 3D printers to create cool props, scenes, and effects.Students can make the actors and movie come alive by making fake blood, slime, and potions. Check out Science Bob’s site for recipes and to learn about the science involved.Students add cool augmented reality effects to their movies with free apps like Quo Movie FX, Creature FX, and Action Movie FX. Discover more video tools and apps here. Students can design and make costumes for themselves or for the class zombie movie. Students learn about measurements, chemical reactions, states of matter, and use various tools or technology.This can be part of a makerspace activity.Get students to use a 3D printer to design really cool gadgets and accessories for their costumes. Get students to create a virtual haunted area on Minecraft or a spooky virtual reality experience with CoSpaces. Students can create magic potions or spells and learn science and math.I have created a pair activity you can copy and edit here.As a class create a magic potion and the chant to go with it. Your students can learn about measuring ingredients, counting, chemical reactions, and more.Bring a cauldron and add dry ice to make the mix bubble. Find more science recipes here! Students can add gummy worms or bugs to the potion for fun.Student should add a line to the chant and an instruction. Find examples here.Check out the spellbook template on Boggles World. Students can play games with spooky creatures!Students can learn with monster themed games, such as Teach Your Monster to Read or Learn English Kids has a fun Monster game!Play mobile games that teach math and science like Solve the Outbreak (iOS/Android), Math vs Zombies (iOS/Android), Zombie Physics (iOS), and Halloween Counting & Words Games (iOS). Students can create games with spooky creatures! Try Hopscotch (students learn coding), TinyTap (iOS/Android), or Scratch MIT. Try the Halloween Origami Android app to motivate students to craft their own Halloween creatures. Origami is a great way to introduce engineering and construction skills. Also check out Buncee, the digital poster and presentation web tool and app, which has a library of cool Halloween, Dia de los Muertos, and Fall stickers and clip art. Students can create trick or treat safety posters. Challenge: Teach STEM with any of these ideas.